…now that I have your attention. 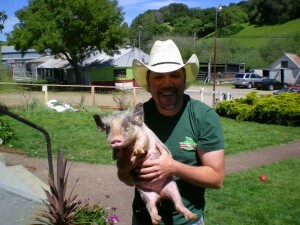 Petaluma Pie Grand Opening – Saturday, December 16, from 1-4pm. 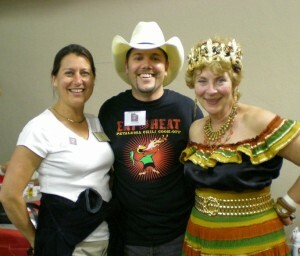 Free pie tasting, music, and good cheer! Nothing fixes a cold, wet day faster than some tasty pie and a warm atmosphere and Petaluma Pie Company has both. Whether you prefer savory or sweet, or like me you prefer them all, PPC is sure to have something that suits your fancy. The closing of Humble Pie in Penngrove was a big blow to those of us that crave pies, especially the savory variety. Any corner store can supply you with a sweet pie (although nothing beats handmade pies like PPC’s) but savory pies are not so easy to come by. The closing of Humble Pie was tempered by the promise of a new pie company opening up right here in downtown Petaluma, which has since come to fruition. 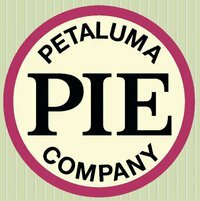 Petaluma Pie Company is located on Helen Putnam Plaza, in the main downtown block of Petaluma Blvd, where Bella Luma Café used to turn out fabulous Panini sandwiches. 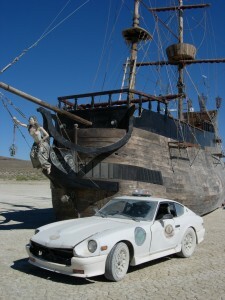 Although the sandwiches were good, the location wasn’t the best. I always wondered how that space could best be utilized and my first visit to PPC showed me the light. 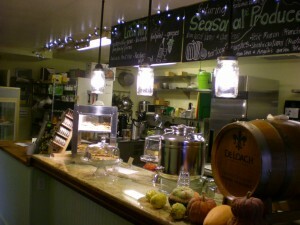 The atmosphere is warm and inviting with the proprietors working side by side to produce pies right in front you. After driving by for several weeks I finally caught PPC opened for the first time about a week ago. As with many restaurants they were working out the kinks in anticipation of their grand opening. Upon entering PPC I was warmly greeted by Angelo. He gladly bagged up six different slices of pies, three savory and three sweet and was genuinely appreciative that I had come in to give them a try. I spoke with both him and Lina about everything from their on-tap beers (they have a couple Lagunitas and a Red Tail) to how they come up with their creations. They are focused on using local ingredients so their pies will most likely mirror the seasons and the crops that are available at the time. Along with the standard pie format they also create hand pies filled with their delicious creations. 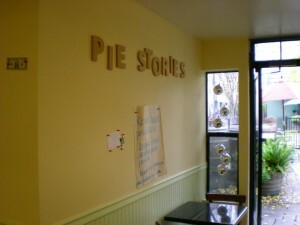 By week two they already have the wall half full of local pie stories. I am just as impressed with Angelo and Lina’s friendliness as with their selection of pies. They are genuinely interested in our opinion when it comes to which pies we like and which we might pass on. I like to see business owners who go beyond just turning out a product. Although in their infancy, their pies have already started to mature. Between my first and second visit a couple of the pies which had started off as run of the mill, had been modified, all for the better. Two of the pies which I wouldn’t like have tried again are now my favorites. It is great to see them adjusting their recipes as they go. I have faith that they are going to be turning out fantastic pies for a long time to come. Not being a big fan of things like mushrooms, onions, or blue cheese, I was pleasantly surprised that some of my favorite pies at PPC contained these ingredients. I give them kudos for taking something I dislike and turning it into something I crave. They blend their flavors nicely and I would have been wearing my eatin’ britches I probably would have demolished their inventory. The prices are very reasonable and the pies are fast becoming one of our favorite afternoon snacks. 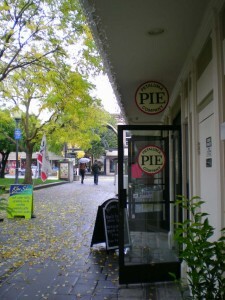 PPC sells whole pies as well as pies by the slice. 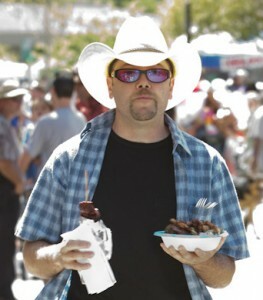 My suggestion is to grab a couple of friends, head to PPC and order one of everything and share. They sell pies to go but their inventory moves fast so if you want to wow your Christmas guests with handmade local pies you will want to get your pie order in early. (You don’t have to tell them whose hands made the pie…) As with many of our community favorites, PPC maintains an excellent web presence with blogs on their website (www.petalumapie.com) as well as frequent posts to Facebook. Keep your eyes peeled on both those sites for posting about upcoming specials. They like to keep their selection fresh so they often do an end of day “blow out” so it would be wise for you to “friend” them on Facebook. Don’t let the crummy weather stop you from attending PPC’s grand opening, tomorrow from 1-4pm. Along with free pie tasting, they will be serving up mulled wine and cider as well as warm and tasty pies for immediate consumption or to take home for later, all to the sounds of the Sweet Penny Royals. I finally feel like Helen Putnam Plaza has a true anchor and look forward to eating lots of their pies for years to come. 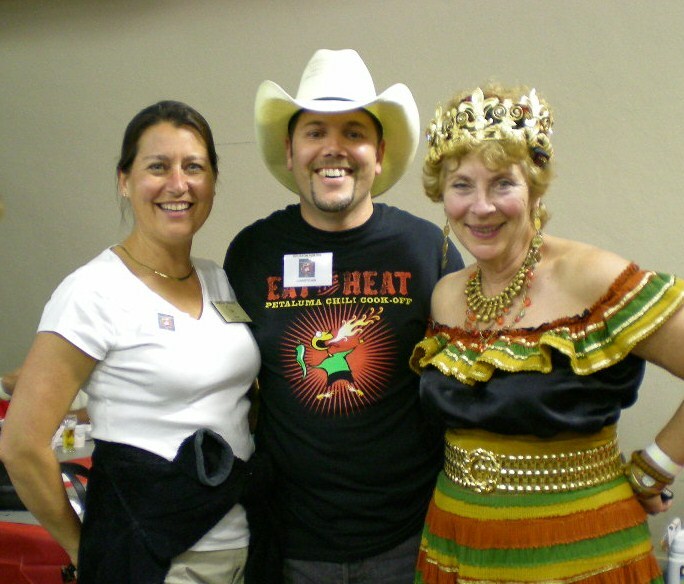 …and don’t forget to let them know that you heard about them here at “Above the Brim.” They like knowing that locals are supporting locals, all the way around.